A rather blurry shot of a piece of shortbread I baked yesterday for some friends who are doing some DIY in their new flat and havenae time to eat, let alone cook. I used a 6-4-2oz recipe, which gave a much better hold than my usual 2-2-1 proportions. 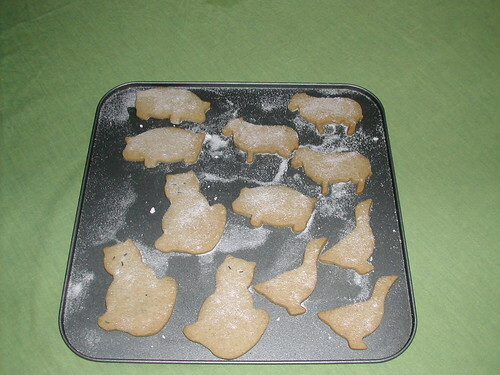 The 6-4-2 recipe is just right for two baking sheets of shortbread, whereas my old recipe had to be spread over three or four due to the way it oozed everywhere. In addition to the flour, butter and sugar, I added 2 tsp ground cinnamon, 1 tsp ground ginger, a good pinch of ground cloves, and just to experiment, some caraway seeds. I don’t normally like pre-ground spices, but it’s really handy for cinnamon, ginger, cloves, allspice, and other baking spices. I can never get small amounts pounded finely enough to be sifted, but that’s probably due to my modern upbringing. 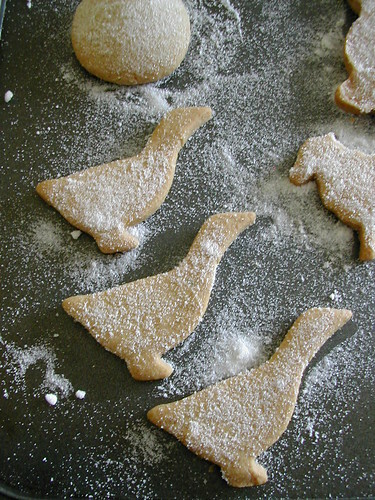 Made some ducks too. 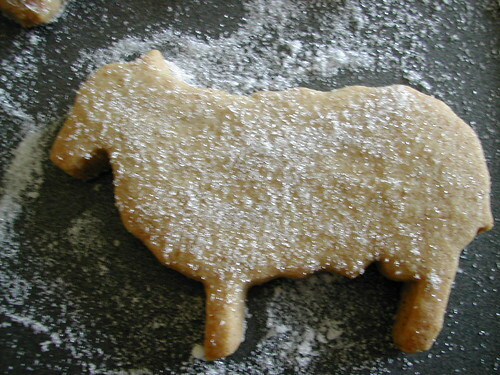 This entry was posted in akatsuki eats and tagged recipe, sheep, shortbread. Bookmark the permalink.